Link. Published on April 18, 2014 by James Burks. Here are a couple of sketches that I did for Sketch_Dailies. The theme was James Bond. Since Scholastic has posted the cover on Amazon and Goodreads I think it's okay for me to post it here. A little while ago I illustrated a board book for Scholastic's Cartwheel imprint. It will be out next summer. It's a fun book about a little boy who refuses to eat and two parents who will try anything to make it happen. Here's the cover. Link. Published on December 11, 2013 by James Burks. Cleaning up Bird and Squirrel on Ice. Here's a little look at how I'm spending my days. This is forty minutes of work played back at 20x it's regular speed. I've got about 50 more pages like this one to clean up over the next two weeks. Some a bit easier, some a bit harder. I've left off the text because somethings have to remain a mystery. Enjoy. Link. Published on December 03, 2013 by James Burks. Here's a sample illustration I did earlier this year. Link. Published on August 14, 2013 by James Burks. I'm heading down to San Diego later today for the San Diego Comic Con. I'll be camped out in my usual spot at the end of row 700 at table E1. I'll have copies of all my books as well as prints and a few other things. If you're going, stop by and say hello. Link. Published on July 17, 2013 by James Burks. 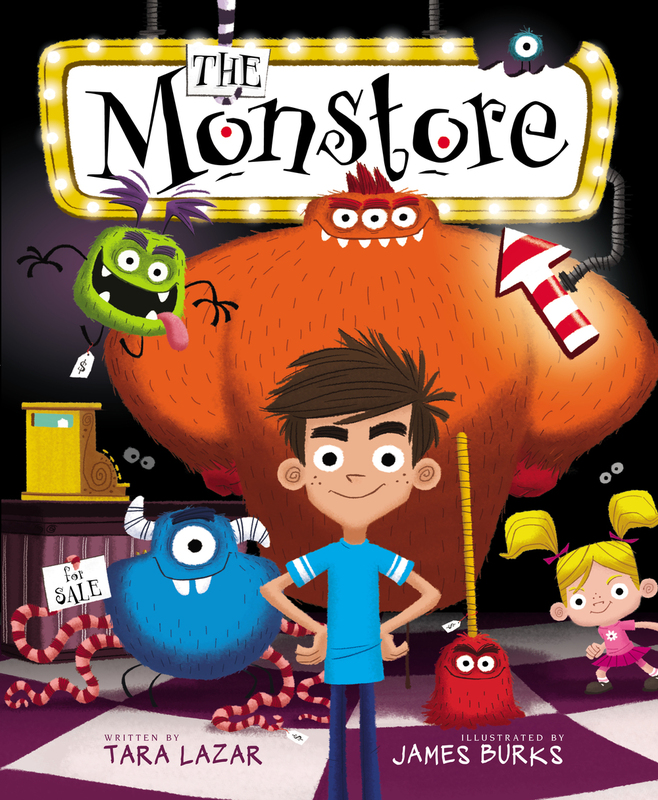 Happy Book Birthday to the Monstore! The grand opening of the Monstore has arrived. Head out to your local bookstore and pick up a copy. It's filled with lots and lots of silly monsters and a fun story that's guaranteed to scare the smiles out of you. Link. Published on June 07, 2013 by James Burks. This Sunday I'll be doing a book signing and a reading in Brea, CA at the Sarah Bain Gallery with Kazu Kibuishi from 1:00 to 4:00 pm. Come on out to Brea and see some art, meet myself and Kazu and get some great books. The gallery is currently featuring art by Dr. Seuss and David Shannon so that's a bonus. Hope to see ya there. Link. Published on March 20, 2013 by James Burks. Link. Published on March 18, 2013 by James Burks. Wishing everyone a very happy Saint Patty's day! 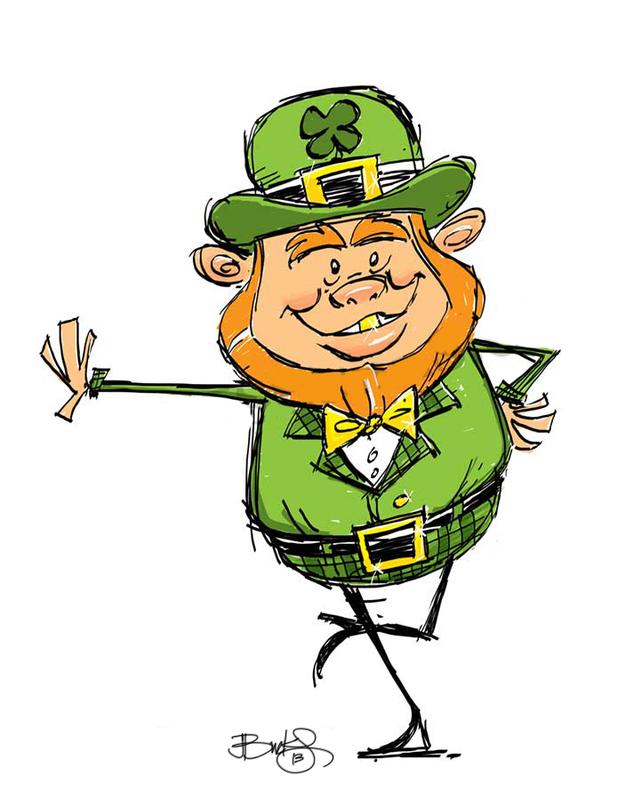 May the luck of the Irish be with you today and everyday. Link. Published on March 17, 2013 by James Burks. Here's a rough sketch of Beep's Bottle Rocket. It's soda pop powered. Link. Published on March 13, 2013 by James Burks. Here's another scene from the Beep and Bah space odyssey. 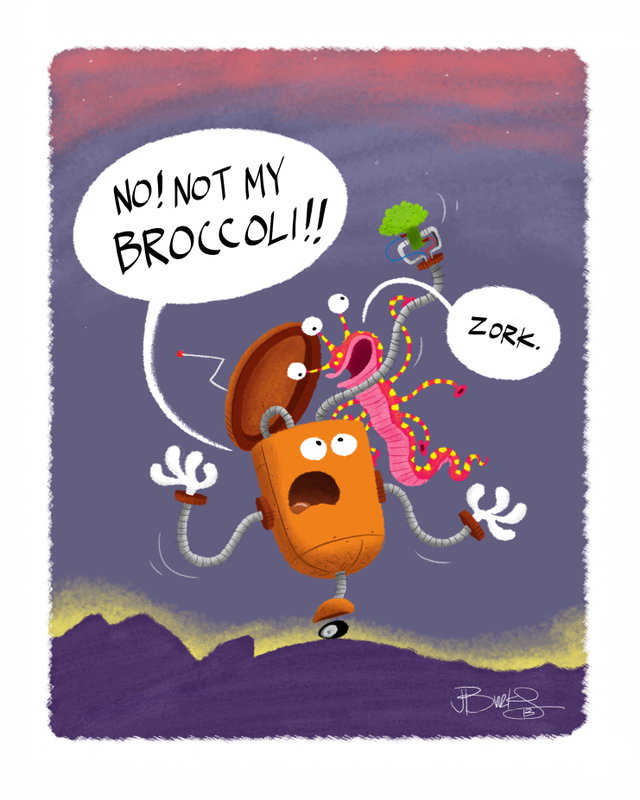 As it turns out, Beep is powered by a single stalk of broccoli. Who knew? I didn't until I did this illustration. But it makes perfect sense. That's the thing I love about drawing while working on a story, new ideas appear out of the ether. Ideas that I probably wouldn't have thought of if I were just typing on the computer. It's good to mix it up. Link. Published on March 05, 2013 by James Burks. Beep and Bah in SPACE! Here's a fun Beep and Bah illustration that I just finished. This was done in Photoshop CS5 using some custom brushes. I'm currently doing some development/imagination work on a second Beep and Bah story while I wait for notes on my script for the next Bird and Squirrel book. Link. Published on March 04, 2013 by James Burks.